They were born free, right? And yet the majestic creatures portrayed on the boxes of Barnum's Animals -- a cracker product made by Nabisco for more than a century -- were seen in cages. Perhaps it is editorial projecting here, but even the drawings of the animals in cages seemed, well, sad. Old packaging for Barnum's Animals crackers that will be retired this week. But thanks largely to the efforts of PETA, the animal-rights activist group, a package redesign for Barnum's Animals has just been unveiled. Now, the animals are no longer cage bound, but are walking freely, side-by-side. From left to right, the animals portrayed are a zebra, an elephant, a lion, a giraffe and a gorilla, each an iconic animal of Africa, and they appear to be in an African savanna setting. 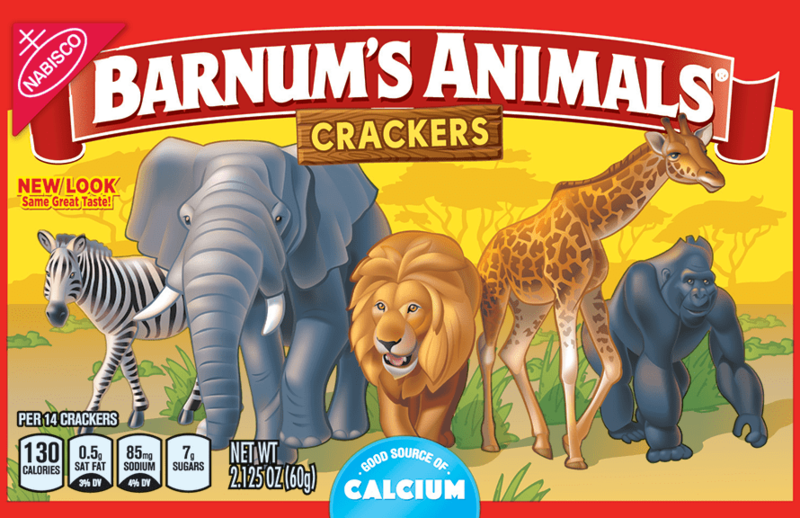 ‍New packaging for Barnum's Animals, to be in stores this week. In an article on their own website, PETA noted that "Big victories can come in small packages, and no matter where we look, we find new evidence that people are embracing compassion for animals like never before." PETA had sent a letter to Nabisco's parent company, Mondelez International, in 2016, asking for a change. As the New York Times noted, "Other companies sell animal-shaped crackers and cookies, but this [Mondelez's Nabisco] was the only brand that had locked them behind bars." Mondelez agreed to do so last year, informing PETA of their decision at that time. 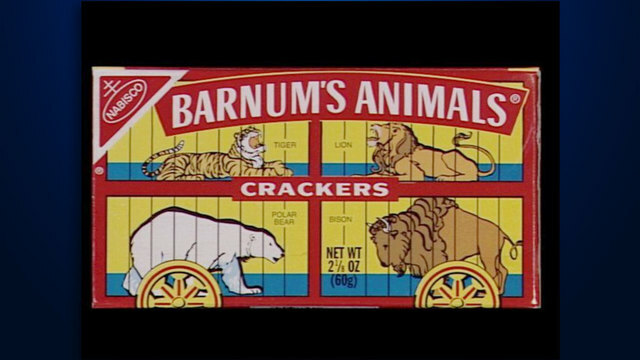 The New York Times noted that "It was a symbolic victory for animal rights activists, notably People for the Ethical Treatment of Animals, which had argued that the immediately recognizable yellow-and-red boxes by Nabisco portrayed a cruel bygone era when traveling circuses transported exotic wildlife in confinement." The new boxes are expected to arrive in US stores this week.